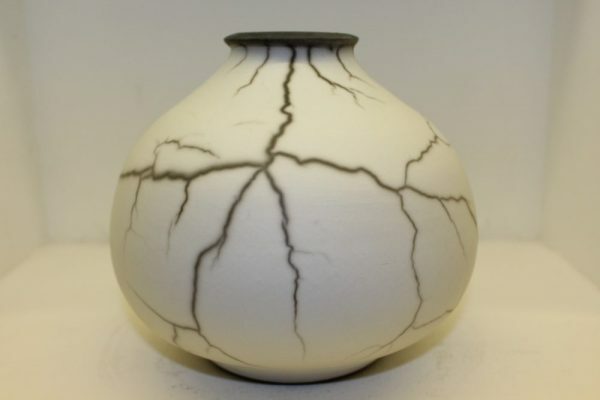 Westernised adaptations of the ancient Japanese technique of Raku mean that the clay body itself is the canvas for completely unique markings using thermal shock and carbon fuming in a reduction atmosphere. Forms are derived from splicing or architectural, wood carving and monument forms recorded in sketch books from visits throughout Europe and the far East. The surface finish can be silky smooth or cool marble to the touch, a great deal of planning from inception to completion is crucial.